Trip 1, Fish 1, on Day 1! The Seacher is seeing yellow. Yellowtail that is! 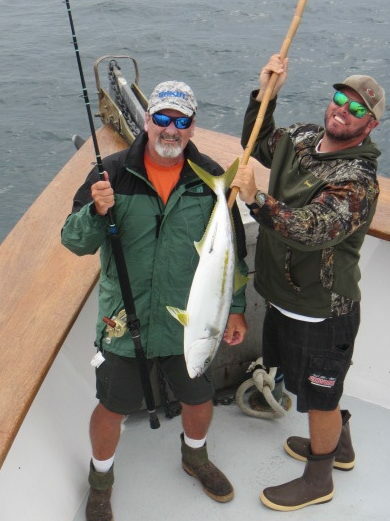 Long-time SearcherSportfishing customer is joined by daughter and son for this trip! Jose from Accurate and our awesome captains Aaron R. and Shawn T.
Ocean to table! Sushi lunch!